Self proclaimed voodoo priestess, foodie, and part-time Geisha, Eden Royce has released a collection of Southern Gothic Horror stories. Not familiar with Southern Gothic? Eden sums it up best. "It’s a genre of Gothic fiction unique to American literature set in the American South. (Although I’ve taken a few liberties…) Commonly featured are characters who may dabble in hoodoo and conjure magic–like my great-aunt. Other characters practice more devious or violent acts. But all of them are deeply flawed, disturbed or eccentric characters. Much of Southern Gothic focuses on the macabre and grotesque. Maybe that’s why I love the genre." Sinister shopkeepers whose goods hold the highest price, a woman’s search for her mother drags her into the binding embrace of a monster, a witchdoctor’s young niece tells him a life-altering secret, an investigator who knows how to keep a 100% confession rate…. These are stories where the setting itself becomes a character—fog laced cemeteries, sulfur rich salt marshes—places housing creatures that defy understanding and where the grotesque and macabre are celebrated. Eden has had stories appear in over a dozen anthologies from large and small presses–horror, steampunk, dark fantasy, erotica, haiku, and combinations thereof. 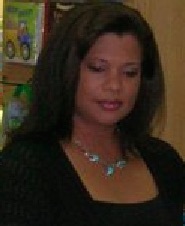 She provides editing and proofing services for a publisher and for individuals. And has lent her voice to several fantasy characters on gaming and writing podcasts. Besides all of that, her passions include roller-skating, listening to thunderstorms, and sumi-e painting. She also writes a feature for Graveyard Shift Sisters, where she interviews a female horror author of color and reviews their latest work. I love this collection. Excellent storytelling. More please! Thank you so much, Lynn! I'm getting to work on more stories!